As its name suggests, the City Mini is designed for the city. 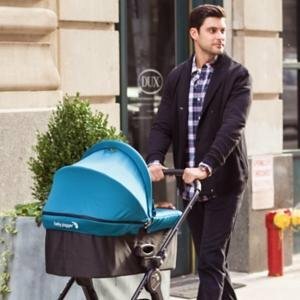 Running errands and getting around with your child becomes so much easier thanks to this stroller which is the essence of urban mobility: lightweight (at just 18 pounds, it is comparable to some umbrella strollers), compact and nimble. Sleekly designed with practical features, the City Mini is the perfect choice if traversing the urban jungle is included in your daily routine. The large built-in canopy is one of the most raved features of the City Mini. Parents love that it is UV 50+ sun protected and the size of the canopy offers a lot of shade on a sunny day. 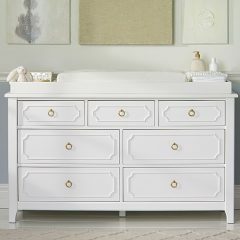 Further, it can also be adjusted for differing head heights and multiple positions as you open or close it. 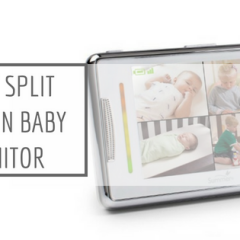 The two peek-a-boo windows have magnetic closure so you can always keep an eye on your child quietly without disturbing him/her. The multi-reclinable seat can be reclined to a near flat position so that your child can sleep comfortably when tired. 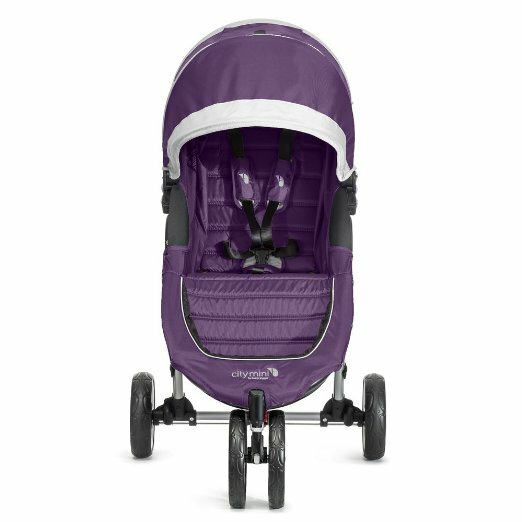 Built with comfort in mind, the seat has vents and a retractable weather cover to give your child the utmost comfort and safety. 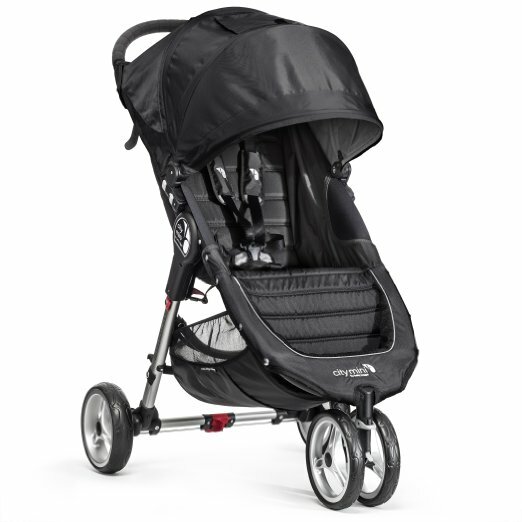 As with the City Mini GT, the City Mini also encompasses Baby Jogger’s patented quick fold technology. 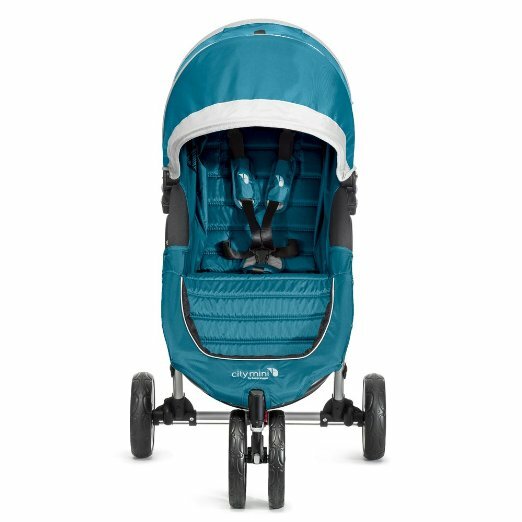 This allows you to fold the stroller in one step – just lift a strap and the City Mini will fold itself, simply and compactly. The auto-lock function will ensure everything is locked in place, convenient for transportation and storage. 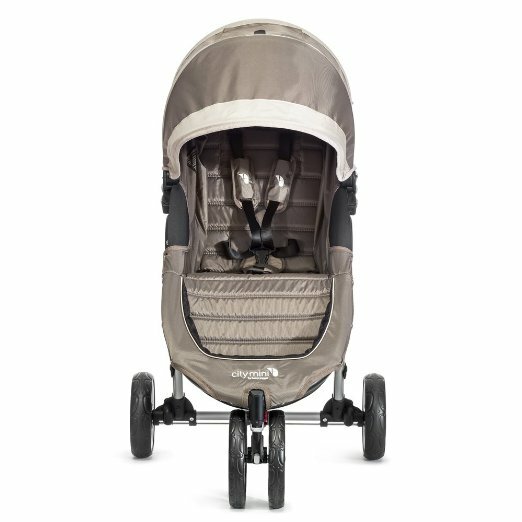 At 18 pounds, you can easily lift and move the stroller around, even if you have to carry baby on one hand. The maintenance-free-8-inch tires allow the City Mini to easily cover all kinds of urban terrain and the lockable swivel front wheels with suspension you to have easy manoeuvrability. 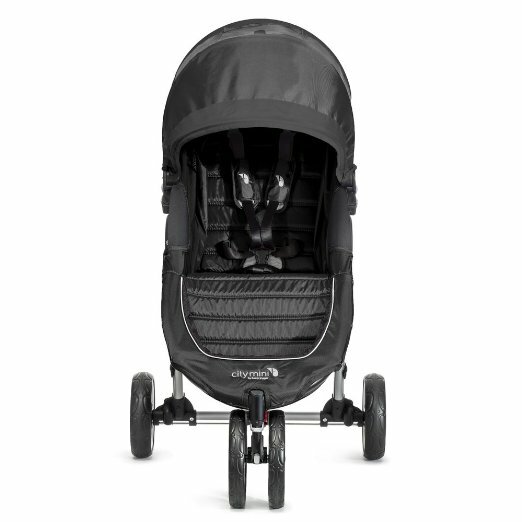 Set the front wheels to swivel for your daily obstacle course or lock to stationary for long-distance strolling. The City Mini comes in 6 colours (1 more than the City Mini GT) – black/gray, crimson/gray, lime/gray, purple/gray, sand/stone and teal/gray so you will have a variety to choose from. Note though, there are different price point for different colours so choose carefully if price is a factor. Don’t forget that you can easily convert this stroller into a travel system if you purchase a Car Seat Adapter. Just choose an adapter compatible with your infant car seat (its range of adapters cater for most infant car seats in the market) and you are ready to place your seat and stroll! 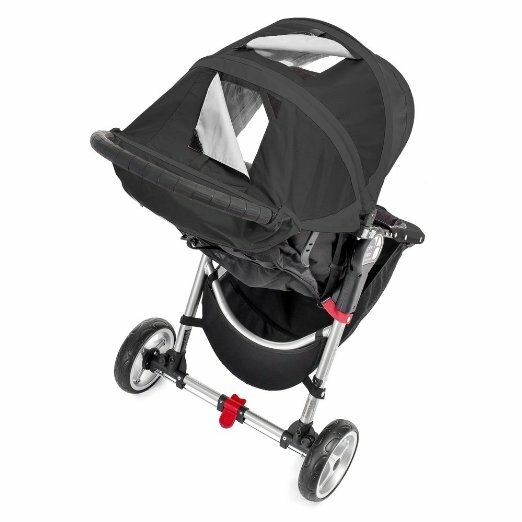 What’s even better is that you can also add a pram to handle even the newest of passengers. 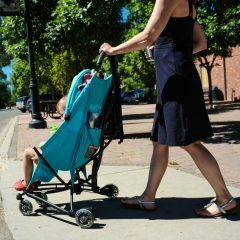 If you have a bigger budget to spend, do check out the brand’s parent console and cooler bag which are some of the much loved accessories by parents.